Here is where you can find all the latest info on the Summit County, CO market from Anne & Molly of The Skinner Team. Including our monthly video series and information compiled by the Land Title Guarantee Company. Market Analysis by Area for March 2019: There were a total of 135 transactions and $101,948,344 in monetary volume. The average transaction price for all 18 reported areas, plus Deed Restricted transactions, was $783,182, average residential price was $854,771 and average residential PSF was $479. Market Analysis by Area YTD 2019 3 Months: There was a total of $320,365,228 with 405 transactions. The average transaction price was $821,240, the average residential price was $828,109 and the average PPSF was $474. Market Snapshot for Years 2019 vs 2018: Average Indicators for $: Single Family +11%, Multi- Family +2% and Vacant Land -5%. Median Indicators for Single Family +3%, Multi- Family +2% and Vacant Land flat 0%. Market Analysis % Change 2019: Monetary volume ($101,948,344) in March 2019 was up 18% from March 2018. Transactions (135) were down 4% in from March 2018. YTD 2019 Monetary Volume is pacing 22% ahead of YTD March 2018, and transactions are down 5%. Residential Cost Analysis: Residential volume in March had 98 transactions with $83,767,577 gross volume. There were 21 properties that sold for $1M and above in March. The most active price points were between $500K-$600K with 14 transactions. There were 46 Single Family, 52 Multi-Family and 14 Vacant Land transactions. Average Price History by Type- YTD March 2019: Average price for residential Single Family: $1,273,093, Multi- Family: $535,419 and Vacant Land: $349,600. Comparative Historical Cost Analysis Comparison 2019-2018 YTD. YTD 2019, there were 310 residential transactions and $256,713,796 gross $ volume with 69 properties selling for over $1M. YTD 2018, there were 322 transactions with $229,269,563 gross $ volume with 54 properties selling for over $1M. YTD 2017, there were 350 transactions with $246,609,560 with 70 properties selling for over $1M. Top Lender Analysis March 2019: There were 431 loans in March. 67% of purchasers closing with financing at the time of the sale, there were 96 REFI’s and 244 loans were timeshare related. 33% of the real estate closings were cash transactions. 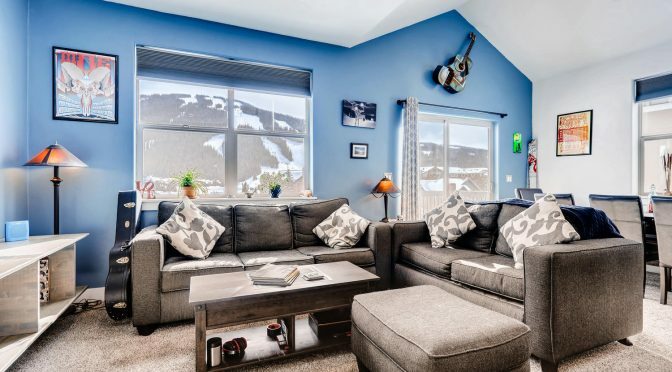 Market Highlights: Please see page 11 of the Market Analysis- Note the the higher priced sale in March 2019 in the Shock Hill area in Breckenridge at $4,800,000. The top priced PSF was in the Basecamp Shops and Residences in Frisco at $822. Foreclosures: No Bank sales in March, there was 1 Foreclosure action in March 2019, compared to 4 in March of 2018. There are a total of 10 YTD. Purchaser Profile Abstract: There were 25 upper end sales in March 2019 compared to 30 in February. Our buyers for real estate transactions for March 2019: Front Range demographic at 52% of our market, 24% are “local” and 24% are out of state buyers with 0% International. Please note page 17 comparing demographics of our buyers through 2013. Land Title New Development Summary: This (page 18) shows all the new construction each month, there were 12 in March.